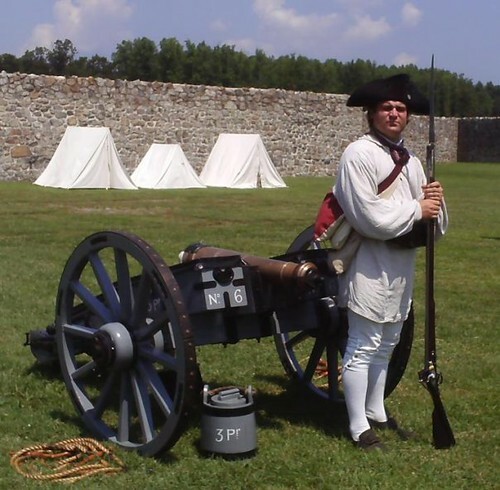 The Maryland Department of Natural Resources invites everyone to Fort Frederick State Park 9 a.m. to 5 p.m. Aug. 4 and 5 to experience what life was like for the American soldier through history, from the founding of Maryland to the 20th century. The military history of Fort Frederick spans the 18th and 19th centuries. Building upon that legacy, “The American Soldier through the Ages” program will provide visitors with an up close and personal look at historical military gear, uniforms and weapons. Demonstrations will highlight those who served in the colonial militia of the 1600s, French and Indian War, Revolutionary War, War of 1812, Civil War, American Indian Wars of the 1870s, Spanish American War, World War II and Vietnam War. “This unique program allows our visitors to learn about the life of America’s soldiers since colonial times – how things changed and how in many ways they have stayed the same,” Ranger Rob Ambrose said. Cost to attend is $3 per vehicle for residents and $5 for nonresidents. Visitors should also be advised that disabled access is available, although most of the activities are on grassy areas. Events begin with a flag raising ceremony over the historic fort, which was built in 1756.